House Clearance Service In All Areas Airedale Ferry Fryston Altofts Whitwood Castleford Glasshoughton Knottingley Normanton. 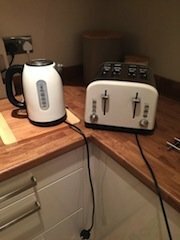 A cream and black Tesco kettle, together with a matching four slice toaster. 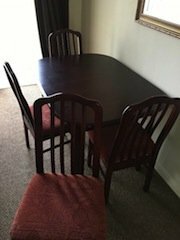 A dark wood extendable dining table, together with four matching dining chairs, upholstered to the seats in red patterned fabric. 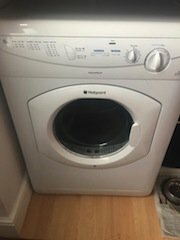 A white Hotpoint VTD20 under counter tumble dryer. A brand new boxed black and stainless steel Breville water boiler. 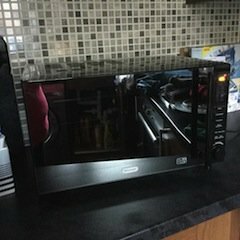 A black Delonghi 20w combination microwave oven. 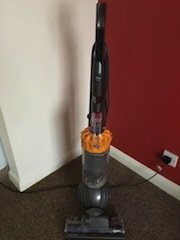 A yellow and space grey Dyson DC40 ball upright vacuum cleaner. 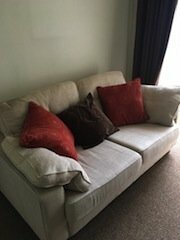 A two seater high back sofa on pine legs, upholstered in cream fabric, together with two red cushions and a chocolate brown cushion. 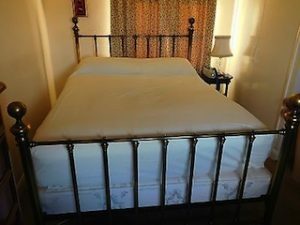 A black metal four poster double bed frame in the victorian style, together with a double mattress. 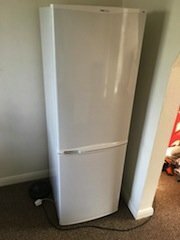 A tall free standing white ProLine fridge freezer. 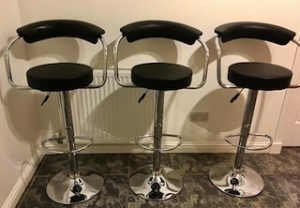 A set of three chrome based swivel bar stools, upholstered to the seats and backrests in black faux leather. 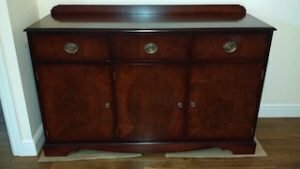 A Beresford and Hicks vintage mahogany sideboard, having three brass handled drawers above a single and double cupboard. A white wood three drawer dressing table and swivel mirror, together with a matching stool, upholstered to the seat in patterned cream fabric. A small tub chair, upholstered to the base in cream fabric and to the cushion in striped colourful fabric. A white Belling IWM 7kg integrated washing machine. 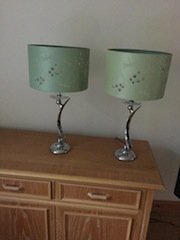 A pair of chrome table lamps, each with a green crystal embellished dragonfly patterned lamp shade. 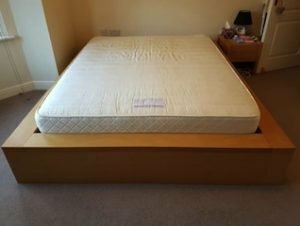 A Habitat king size solid oak bed frame, together with a cream king size mattress.